Smart Launches the Samsung Galaxy S3! Last June 1st, Media, Bloggers as well as Personalities from Radio & Television all gathered at the Smart-PLDT Jump Experience Center to witness the media launch of Smart's newest phone offer - The Samsung Galaxy SIII. As early as SM Megamall opens, some lucky buyers already lined up to be one of the first few to own the new phone from Smart and Samsung. Jump was turned into one big event center for the media launch. Foods and drinks was served to guests at lunch time before the program started, the place became packed as the program draws nearer. Guests also enjoy enjoyed trying out sample units of the Samsung Galaxy SIII placed in different locations inside the Jump Experience Center. The event was hosted by Magic 89.9's DJ Andi Manzano and Sam YG who are also both eager to get their hands on the new Smart's newest offering - The Samsung Galaxy SIII. Everyone is on their feet at games were done in the event where lucky guests won awesome prizes such as Samsung Printers, Samsung Galaxy Nexus handsets, and talked about Samsung Galaxy SIII. After the fun and gadget-ful games from Smart and Samsung, a surprise electrifying performance by Iya Villania followed as she sang and danced making the Smart Jump Experience Center feel like one big party scene. After the exciting performance by Iya Villania, Smart presented the first four lucky buyers of the Smart-Samsung Galaxy SIII and was awarded with their freebies - The First and Second in line got the Samsung Galaxy Tab and Samsung Galaxy Note respectively, while the third and fourth in line got a Samsung Nexus. Celebrities also graced the event as they dropped by Jump Experience Center to get their hands on their very own Smart-Samsung Galaxy S3. Some of the spotted celebs present are Magic 89.9's Mia & Slick Rick, Rhian Ramos, Maxene Magalona and brother Elmo Magalona. Other Artists also dropped by later on that day. Now lets get down with the quick look on the Samsung Galaxy SIII. My first impression of this device is that it's really a beauty and quite big compared to the other devices that came out this year. It's really a game changer in terms of its design. I actually got the chance to have a little time with this awesome device and it's really fast + responsive compared to other android devices I have tried before, I tried browsing its apps and several website like Youtube and it didn't fail me at all. All ran smoothly without any lag that you get when you open several applications at the same time. Boasting its 8-megapixel camera, it delivers very crisp and sharp images, it also has the burst shot mode where the phone will choose some of the best shots out of the bunch! Enough about it, It's really making me crave to own one after trying it out! 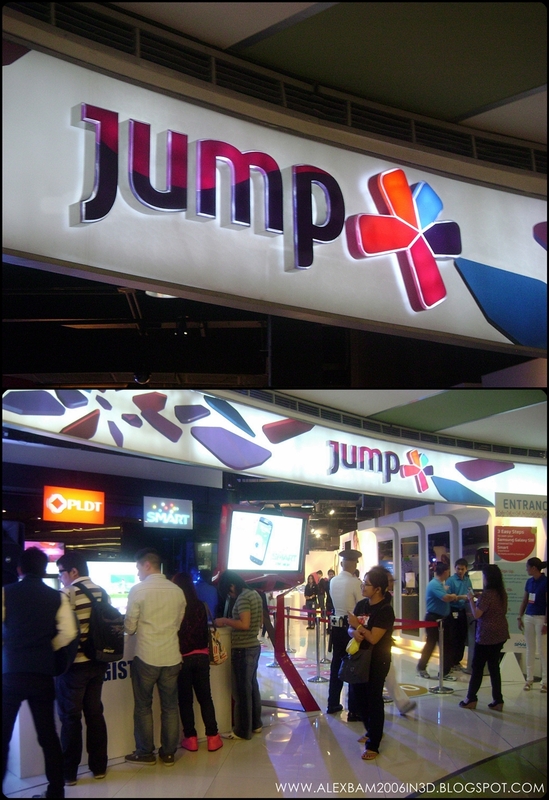 Go try it yourself at the PLDT-Smart Jump Experience Center and experience the new Samsung Galaxy S3 first hand! Or own it for Free with Smart's Unli Data Plan 2000! and Follow Smart Promos & Smart Cares on Twitter!